How to change the header text in GridControl? To change the column names by using the following ways. 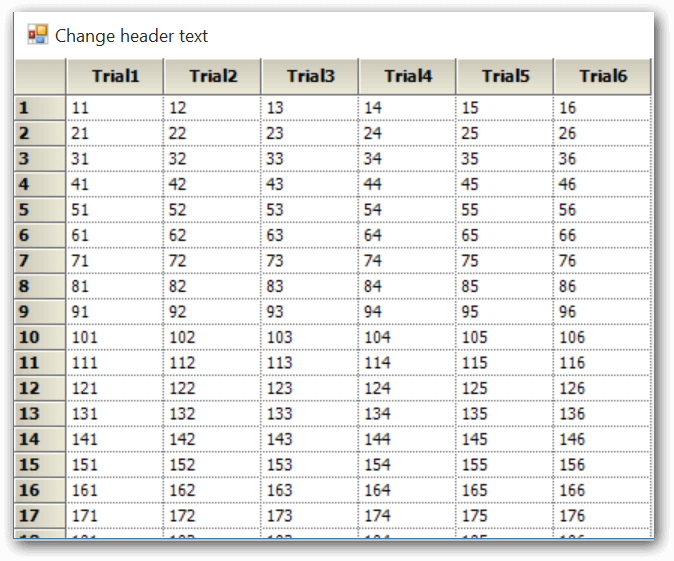 To change the column name by using BaseStylesMap as below. I found that setting the column header text during the QueryCellInfo handler works well. This technique solves my problem. I found that some of the other techniques do not work for me for some reason. For example, as a test I set the GridControl Enter event handler as follows: In this code the status bar label updates with the word "Howdy" but the grid control column header is unchanged. gridControl.Refresh(); // just to be sure.